Creating infographics has become a very common strategy for companies that are implementing a content marketing strategy. They can be a powerful tool that can display data in a simple to understand manner. If done correctly, they have the power to go viral across the web and get you a good amount of social traffic to your site. Here are a few things to consider before you get started on creating your first infographic. 1. Always start with your target audience – When you’re thinking of ideas for infographic topics, always consider your target audience for your product or service. It’s great to have an infographic go viral, but if it doesn’t touch your target audience and doesn’t lead to sales, what’s the point? 2. Make sure your data is legit – An infographic that uses statistics that are inaccurate or boring is a bad one. 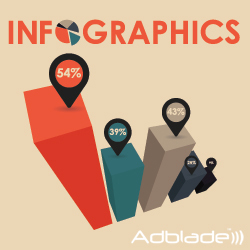 An amazing infographic will be well researched and contains original data that makes an impact to its viewers. 3. Make it pretty – Remember, the difference between an infographic and a boring PowerPoint presentation is all in the design. It should be impactful and impressive. Don’t be afraid to make it long with lots of data. Designing a great infographic takes a long time, so work with a professional designer that understands your vision and had designed infographics in the past. 4. Make sure it’s readable at smaller sizes – Sites like Facebook and Twitter, sometimes, only show a small image preview of a photo within a post. Try and make sure that your infographic is high contrast and easy to read at a glance even when it’s small in size. Make the headline clear and big. 5. Include your logo and URL – This one seems obvious, but I’ve seen countless infographics that don’t contain a logo or a URL. Remember, once your infographic is loose on the Internet, you have no control on how it will appear. 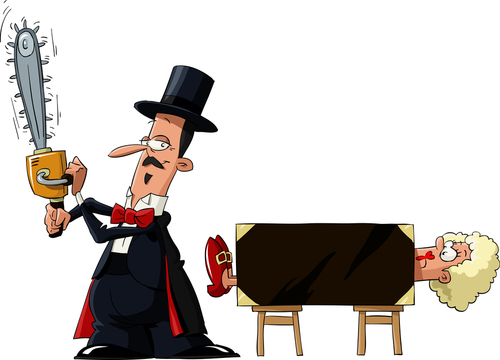 Including a URL will, at least, bring a percentage of the viewers to your website. 6. Spread the word – Use all the social channels you participate in, and also consider using content-style ads to help drive in traffic to your initial launch. This entry was posted in Content Marketing and tagged content marketing, content-style ads, infographics, social media on August 21, 2013 by . Why The Buzz About Content Marketing? Content marketing has become the new leader in marketing strategies. 86% of B2C marketers are now using content marketing to reach their customers. For B2B marketers that number is up to 92% and they are spending over 33% of their marketing budgets to produce fresh content. Content marketing has become the fastest growing part of marketing budgets over the last few years. It is surpassing SEO, PR and traditional advertising (print, TV and radio) based on the businesses we surveyed. So what exactly is content marketing? It’s the creation of original web content for the purpose of creating sales, leads and increasing a brand’s visibility. The content can be many things; blog posts, videos, pictures, case studies, slide shows, etc. This content is shared on the web through social media, virally, on sites like YouTube, email and countless other ways. This content can also be distributed by content-style ads such as Newsbullets™, positioned to reach people on hundreds of news sites around the web. This is a great way to spread content virally for an initial push or ongoing basis. Educating your customers along the sales cycle is a fantastic way to make your company stand out from the competition. Content marketing is poised to increase in importance over the next few years, as consumers have grown weary of seeing more and more ads in their daily life. This entry was posted in Content Marketing, Online Marketing and tagged adblade, blogging, content marketing, content-style ads, social media on July 26, 2013 by .